A shiny end, in many shapes and colors. Aluminium strips has exactly the properties that closures need. Aluminium strip is impermeable to light and gas, it can be easily formed and it combines well with other materials. 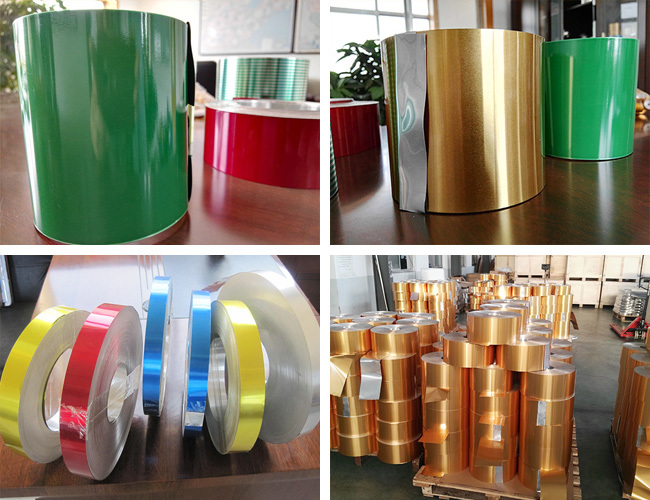 We supply plain as well as lacquered strip and sheet made from alloyed aluminium in thicknesses ranging from 0.180 to 0.250 mm. This high quality material can be used in conjunction with a wide range of lacquering systems to create functional and well-styled solutions for the catering industry and for domestic purposes. The material can be used in conjunction with a wide range of colours to create well-designed, functional solutions to meet customers’ style requirements. New surface appearances, designed to safeguard intactness and ensure high product recognition, are currently being evaluated. Screw caps for pressurized and unpressurized beverages, including carbonated soft drinks and spirits. Pharmaceutical caps for bottles and special applications. Dental cartridges.